A round of golf can often be uneventful. But when you play at any of the below listed courses, you raise the odds of an adrenalin-pumping round. Members of Carbrook Golf Club in Brisbane, Australia, now have even more reason to be cautious about the water hazard on the 14th hole. 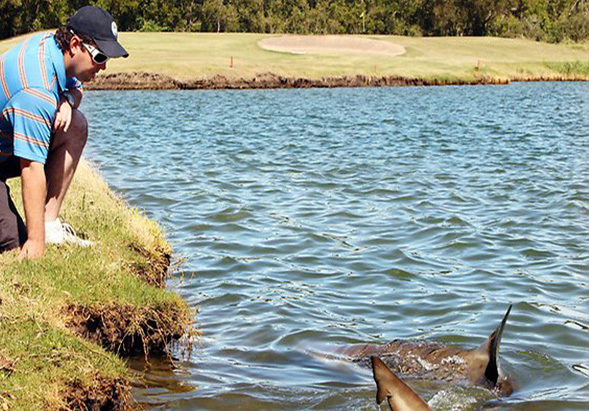 Believed to be the only Shark-Infested golf course in the world, it has now become a common sight for golfers playing the hole to view these man-eating Sharks swimming near the edges of the lake, just off the fairway. The killers, some up to 10 feet long, are thought to have washed into the lake during a flood in the early 90s when the nearby Logan river burst its bank. Not all reactions have been negative – As club GM Scott Wagstaff said, “You can’t believe how close you are…just six feet away, “There’s no drama, it’s become a positive thing for the golf course. They are amazing. I’ve become a shark-lover since working here.” The club presently hosts a monthly tournament called the Shark Lake Challenge. Uummannaq (click here for pronunciation), the coldest course in the world, is located 600 km north of the Arctic Circle and since 1997 has been the home to the World Ice Golf Championship. The picturesque par-36 9-hole course (with your typical mix of five par 4s, two par 3s and two par 5s), is located between two glacial icebergs – the moving ice results in a constantly changing layout as weather conditions fluctuate. 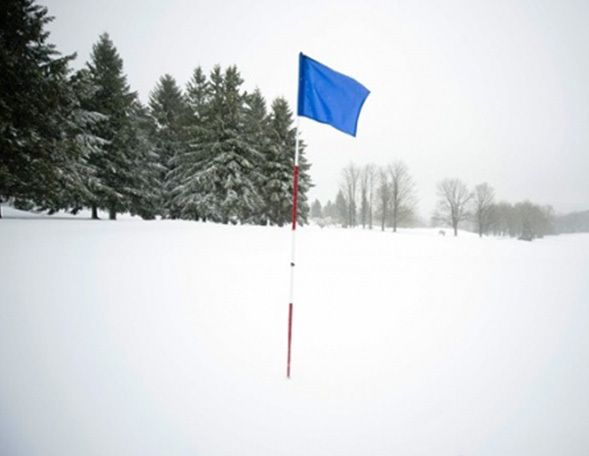 With the backdrop of huge mountains of ice glistening in the sun and course temperatures that fall below 50 degrees below zero, some local of the rules have added that suit the course conditions – notably the use of a fluorescent orange ball (as white balls are easily lost against the snowy backdrop), and ban of graphite clubs that have a tendency to shatter at these cold temperature. Skukuza Golf Course (pronounced Ska-koo-za) is a 9-hole course on the outskirts of Skukuza Restcamp. Built originally in 1972, it is now open to the public. There are no fences around the course, allowing the animals from the Kruger Park to wander in and out. 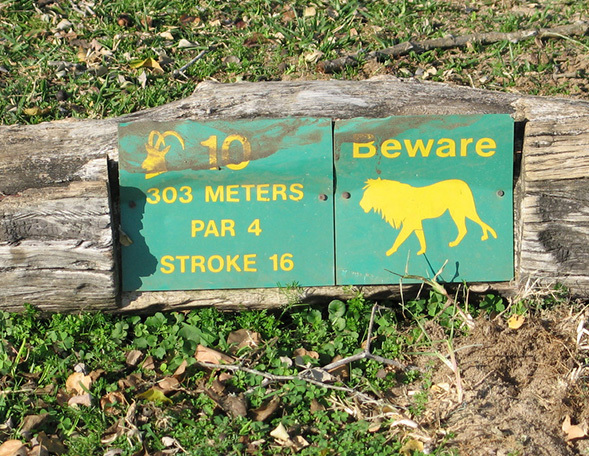 Golfers are welcomed to the Course by a Sign board that states “Beware: Dangerous Animals. Enter at Your Own Risk”, which helps explain why an indemnity form has to be signed before teeing off at the first hole. Harbour Town Golf Links is rated as one of America’s 100 greatest courses you can play but it became one of the most dangerous during the Heritage Tournament in 2001. Kip Henley was caddying for Brian Gay when Gay’s ball became stuck in the mud on the fifteenth green. 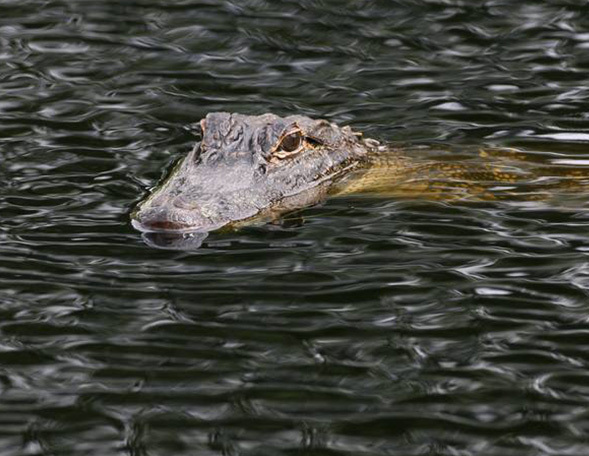 Kip went to get the ball back and discovered it was guarded by a 6-feet alligator. While he may have been able to ask for a free lift, Kip calmly hit the creature with a rake until it left. 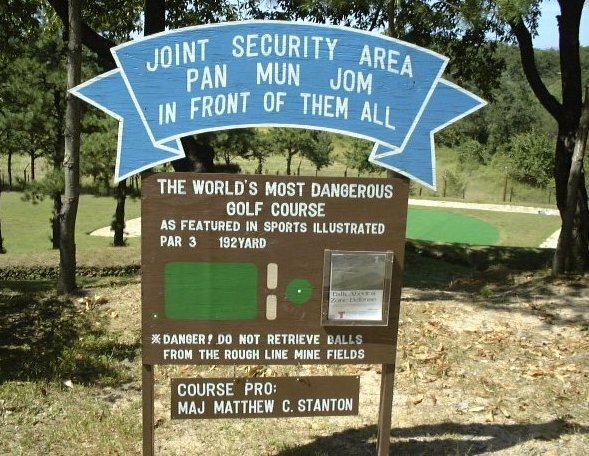 The golf course in Panmunjom, which lies in a demilitarized zone between North and South Korea is often called the most dangerous golf course in the world. It has earned this monicker not for deep hazards nor for unplayable rough, but because of the mine fields located on three sides of the course. The golf course was constructed in 1972 for the service members of Camp Bonifas, the U.S military installation in Panmunjom and is not open to outsiders. It is a lonely outpost (no theaters or restaurants) and the course provides a much needed respite for the 50 U.S soldiers stationed there. World’s most dangerous water hazard! The golf course in Panmunjom, which lies in a demilitarized zone between North and South Korea is often called the most dangerous golf course in the world. It has earned the ‘dangerous’ monicker not for deep hazards or unplayable rough but because of the mine fields located on three sides of the course. As you first enter the course, you are welcomed by a sign that says “DANGER! DO NOT RETRIEVE BALLS FROM THE ROUGH – LIVE MINE FIELDS”.